The amazing John Tucker is hosting me on his blog today and boy are we dishing! When living-challenged author Claire Presswood gets invited to go on a night out on the town with her two best friends, she isn’t prepared for the evening that awaits her. 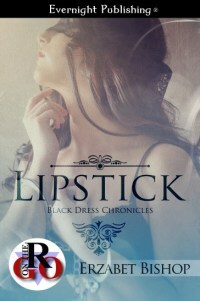 Hungry and overworked, she arrives at a masked party at an art museum in time to meet debonair artist Maxwell Douglas. One look from his luminous eyes and Claire knows this will be a night to remember. “What would you like to see first?” Maxwell’s eyes resumed their fiery trail down my body. “How about that spanking bench?” I smiled, letting him lead the way.